While I love summer and the sunshine it brings, my skin often reacts badly to hayfever and pollution. Over the years my skin has become increasingly sensitive so this month I'm doing as much as possible to protect it. As well as sensitivity my skin can often be prone to dullness and blackheads around my nose and cheeks. I'm a bit of a skincare obsessive and love stocking up. For all natural ingredients I love LUSH and Nivea is also by far one of my favourite brands for when my skin is flaring up. 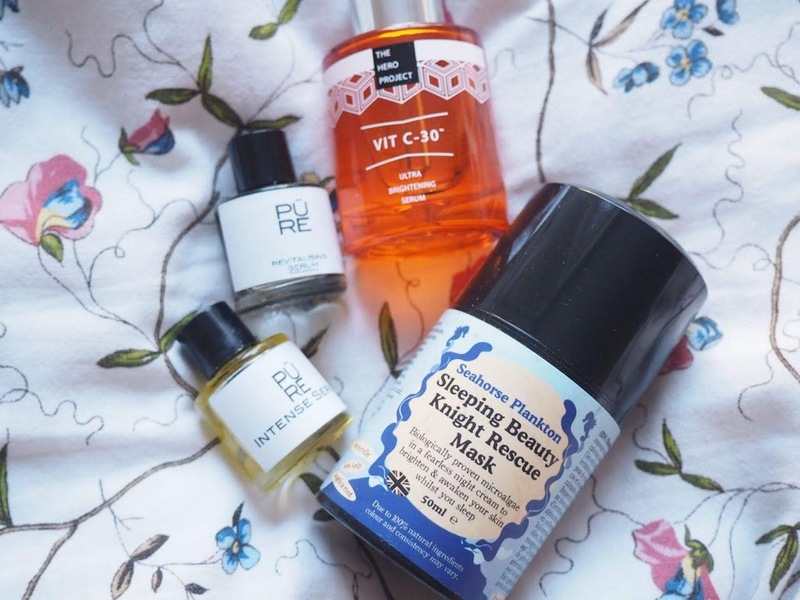 I have recently discovered Chemist4U which sells high-street products at value prices. I recently wrote about my love of supermarket beauty and this is no different, it's great for stocking up on essentials. PURE Collection Serums: I recently came across this brand which creates luxury skincare using all-natural, organic products. By far one of the most unique products in the collection I've come across is the prickly pear serum, this is a cold-pressed serum that moisturises will brightening under-eye circles and reduces free radicals. 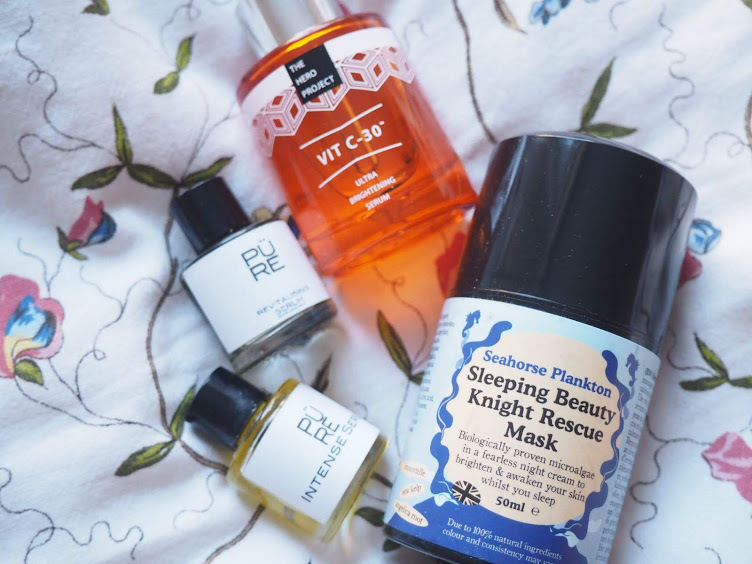 The Hero Project Vit-C 30 Serum: I love Vitamin C products as you can really feel them working and reduce spots and breakouts while exfoliating and brightening. This tightening serum improves the look of visible signs of ageing and also protects from further damage. Beauty Kitchen Seahorse Plankton Knight Rescue Mask: This overnight moisturiser works while you sleep to plump and firm skin whilst deeply hydrating. It also contains calming essential oils to help you drift off into a relaxing sleep. It contains natural ingredients like almond oil, coconut oil and shea butter to deeply moisturise. Pixi Peel & Polish: I usually avoid face scrubs as I worry they can be too harsh on my skin but this is a very gentle exfoliator and delivers salon quality at home. A value alternative for those that suffer with breakouts and blackheads is the Benzoyl Peroxide Wash Gel by Acnecide. This is quite strong and used to treat acne: https://www.chemist-4-u.com/acnecide-5-benzoyl-peroxide-wash-gel-50g.